The world of money and finance can be a pretty confusing place at times. And all the complex terminology floating around doesn’t exactly make things any easier either! Here at Debt Advisory Services (Scotland) Limited we’re experts when it comes to debt solutions in Scotland, and have vast experience of helping people to beat debt and overcome their money worries. To make things a little clearer, we’ve put together a quick jargon busting guide to debt, that explains some of the key financial terms you are likely to come across, when dealing with your debts. APR is short for Annual Percentage Rate of charge. It takes into account not just the interest on a loan, but also any other charges you have to pay. As such it’s designed to give you the overall cost of a loan. You can use this figure to compare different credit card and loan offers. For example, a loan with an APR of 20% is more expensive than a loan with an APR of 15%. Bankruptcy – also known as sequestration in Scotland – is a term that gets banded around an awful lot. The phrase refers to a type of court order that you can apply for if you are in debt. It is a type of insolvency and a way of dealing with debts you cannot pay.Once you have been made bankrupt an official will take control of your assets and deal with your creditors for you. The term debt consolidation refers to the process whereby you combine all of your debts into a single one. 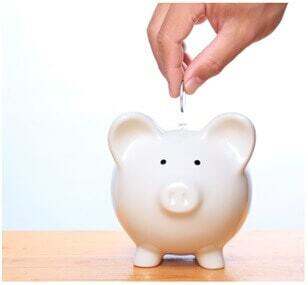 Debt management plans are a type of repayment scheme that can help you to manage your debts. They are an informal agreement between you and your creditors, to pay off your debts, and are designed to allow those struggling to meet their monthly debt repayments to make a single, more affordable payment towards their debt. There are two main types of debt, non priority debts and priority debts. Simply put, non-priority debts are those that cannot directly result in the loss of something important, such as your home. Non-priority debts include things like credit card debts, water arrears, and money borrowed from friends or family members. Failing to pay non-priority debts is typically less serious than failing to pay priority debts. But that said, your creditors may still sue you for the money that you owe them. Some debts are classified as priority debts. This is because the consequences of not paying these debts can be more serious. For example, non payment of mortgage arrears could result in the loss of your home. Priority debts include, mortgage arrears, gas and electricity arrears and council tax arrears, to name but a few. As the name suggests, this type of debt should be prioritised and paid off before other non- priority debts. So there we have it, a brief jargon busting guide, to help take some of the confusion out of money matters. If you are in need of debt advice, then here at Debt Advisory Services (Scotland) Limited we can advise you on a range of debt related issues. To find out more about how we can help you, simply contact our friendly team today, by giving us a call on 0800 011 2322.